While I can't say that I was ever much of a fan, there is no denying the HUGE impact Prince had on the music world ... he charted nearly 60 times between 1978 and 2006 ... and that total includes 34 Top 40 Hits, 19 of which made The Top Ten, and nine that went all the way to #1. He was also a seven-time Grammy winner ... and performed at the 2007 Super Bowl Half-Time Show. Despite the fact that I couldn't really connect with a lot of Prince's music, I will admit that, like most of our recording heroes (with perhaps the possible exception of Barry White! ), I could still find songs by Prince that I genuinely liked ... and will continue to listen to until I myself leave this world ... GREAT tracks like "Little Red Corvette", "Purple Rain", "Raspberry Beret", "1999" and "Kiss". He was inducted into The Rock And Roll Hall Of Fame in 2004, where he performed (with Tom Petty, Jeff Lynne, Steve Winwood, Danni Harrison and several others) the George Harrison classic "While My Guitar Gently Weeps". 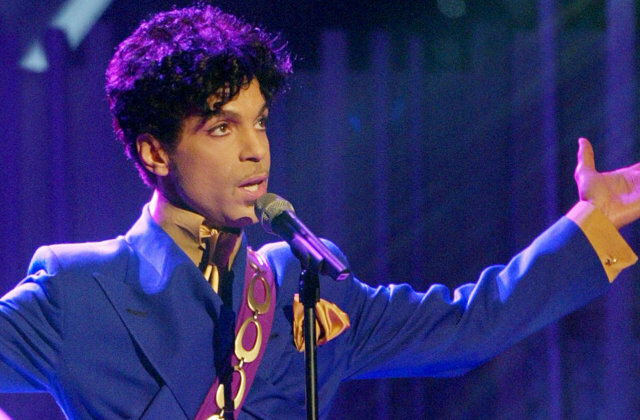 It was a show-stopping performance (and has probably racked up several million more views in the short time since news of Prince's death circulated around the world.) Nearly every published news report I've seen links to this track rather than any of Prince's solo work ... kind of surprising in the way since he was such a "visual" artist in his own right. Prince is the latest casualty in an incredible year of musical passings ... at this rate, they're going to have to extend The Grammy Ceremony by an extra hour this year just to fit in all the tributes. We have just heard that Prince has died. This year of 2016 continues to be a rough one for musicians. I liked several of his songs through the late 80's. His music will live on. My 17 year old son and his buddies were jamming to Raspberry Beret last Summer. When I asked them about it, I was told that was their favorite song. I just wanted to send you a few notes on the death of certainly one of the finest singers, songwriters and musicians of our lifetime: the artist simply known as Prince. I was able to see him in concert four times over the course of 30 years and have to say his performances were simply electrifying. Sure he was a multi Grammy winner, an Oscar winner and Rock Hall Of Fame inductee. Sure he recorded lots of excellent music and had many chart hits over his career. Prince (as one of his role models Stevie Wonder had done prior) would record entire albums all by himself. He would write, produce and play every instrument, sing every note and then mix it all into two LP sides of funk, soul, rock, blues and pop. Truly a one man band. I, as many music fans are today, am simply shocked and stunned at his sudden death. Hard to select just one favorite song, but after recent events the song I wanted to hear first was the closing track of his Parade album ("Sometimes It Snows In April"). Today it may not be snowing, but on this April 21st there are many tears falling. Gone at just 57 years of age. Thanks for all the wonderful music. R.I.P. Mr. Nelson. Brian Wilson: "I'm shocked to hear that Prince passed at such a young age. Musically, he could do it all: sing, play, arrange and produce. Love & Mercy." Mick Jagger: "I am deeply shocked to hear of Prince’s passing. His talent was limitless. One of the most unique and talented artists of the last 30 years. A revolutionary artist, a great musician, composer, a wonderful lyricist, a startling guitar player, but most importantly, authentic in every way." Lenny Kravitz: "My musical brother... My friend... The one who showed me the possibilities within myself, changed everything, and kept his integrity until the end, is gone. I am heartbroken." Dennis DeYoung: "LONG LIVE THE PRINCE. Too soon. I think I just saw a Dove Cry." Joe Walsh: "Prince- Thank you. You showed us all how to do it." Mickey Hart: "This post goes out to all the great musicians we've recently lost in 2016. Thank you for your contributions, your fearless creativity and sharing your heart & soul with the world. There must be quite a jam session going on upstairs." Bono: "I never met Mozart, I never met Duke Ellington or Charlie Parker. I never met Elvis. But I met Prince." Dave Mason: "In 2004, Traffic was inducted into the Rock and Roll Hall of Fame along with Bob Seger, ZZ Top, Jackson Browne, George Harrison, The Dells, and Prince. Up until that time I was never a big Prince fan other than the song 'When Doves Cry.' Prince was the first performance that night and I have to say I was absolutely blown away. Sad to hear of his passing so young." Paul McCartney: "Saddened by Prince's death. Proud to have seen in the New Year with him. He seemed fine and played brilliantly funky music. God bless this creative giant. Thanks Prince." Ringo Starr: "God bless Prince. We will all miss him. I still have my purple whistle. I will blow it tonight. Peace and love." Cyndi Lauper: "Heartbroken about Prince, one of the greatest artists has left us... I'll miss my friend, his advice and great humor. Thank you for your magical music." Ted Nugent: "My soul brother, funk brother, blood brother. Jam in peace forever." Steven Tyler: "LEGENDS NEVER DIE...WE MAY HAVE LOST HIS BODY, BUT WE’LL NEVER LOSE HIS MUSIC OR SOUL...REST IN PEACE TO MUSIC ROYALTY PRINCE." Stevie Nicks: "My friend is gone...This is what it sounds like, when doves cry. He was my dove..."
Mick Jones of Foreigner: "The world lost another legend… Thank you for giving us so much…"
Justin Hayward: "He gave me the ability so see life differently. Thank you dear Prince. 'Raspberry Beret' is one of the top five lyrics ever written. A joy... And I got to mix a great show of ours at Paisley Park studios - brilliant." Chris Cornell of Soundgarden: "I'm in shock and deeply saddened... RIP to one of the MOST talented and unique artists of our generation." Stevie Van Zandt : "Oh no. Not Prince. What a magnificent lifeforce. Our world is forever diminished." Duff McKagan of Guns n' Roses: "What do we do now? PRINCE. No. I hope you weren't in much pain... Your music saved me time and again." Slash of Guns n' Roses: "So sad to hear of Prince's passing; one of the greatest musical talents of my lifetime. Maybe of the 20th century. RIP." Tom Morello of Rage Against the Machine: "One of the greatest, most gifted and unique musicians, performers and producers ever." Billy F. Gibbons of ZZ Top: "My guitar-playing pal has left us but his impact is forever. RIP Brother Prince." Zac Brown Band: "Already a bad year for losing musical legends. Gigantic kick to crotch to lose Prince so young. So sad." Ronnie Wood of The Rolling Stones: "I will miss a good friend who was so talented. He was such a great performer / guitar player. Sleep well, Prince." Joey Kramer of Aerosmith: "We've lost one of our best. My thoughts and prayers are with Prince and his family. He was one of a kind." Jon Anderson of Yes: "He will always be with us. His movie Purple Rain is still very special to me. His soul, art and music stand alone... He was a 'Prince.'" Billy Idol: "Oh my God, I can’t believe that Prince has died. He was a great great talent…RIP." Gene Simmons: "Prince, Glenn Frey, David Bowie, these are people who changed lives. These are not just songs -- they are the soundtrack of people's lives. You remember things in your lives. In the days when I went out with Diana Ross and he was still singing in his underwear on stage, I took Diana to see him at a club and I said, 'You've got to check this guy out.' He was singing in a pure falsetto but his talent was undeniable. It was like, 'Look at this guy.' What he's done is undeniable -- he carved his own road and whether the record company liked him or not he was his own guy. His body of work is undeniable." John Fogerty: "Honored that Prince chose to perform 'Proud Mary' at the Super Bowl halftime show in 2007. You were truly one of a kind. Rest in Peace." Nikki Sixx: "RIP Prince. One of the saddest days to sat the least. He was the true definition of a real artist." Paul Stanley: "This is a profound, profound loss... RIP PRINCE." David Coverdale: "R.I.P Prince...Exceptional talent..."
Kenney Jones: "And another one lost in 2016. What is it with this year? Prince RIP. Loads will be shedding purple tears. May God be with you and keep you at peace." Peter Frampton: "I can't believe we have lost Prince. My thoughts are with his family. Sad isn't the word. Rest in peace." Ann Wilson: "He brought light to the world... Now he is on a journey of his own. Travel well sweet soul!" Jon Bon Jovi: "I'm crushed by the news that one of the greatest inspirations in music EVER has passed. I was lucky enough to have met him many times, and to call him a friend... PRAYERS to his family and to all who loved his genius..."
Don Felder: "One of the best concerts I have ever seen, here in Los Angeles several years ago. I've seen a lot of shows but his was a display or great songs, amazing vocals, killer grooves, rocking guitar parts and God-given talent. RIP Prince Rogers Nelson. You have given us years of wonderful music. Thank you." Paul Rodgers: "A great performer and an amazing talent who made a difference." 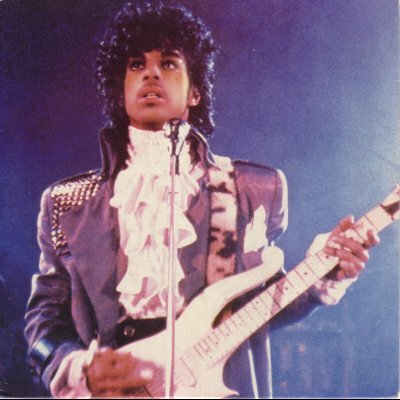 Update: We heard last night that Prince's "medical condition" that forced an emergency landing in Moline, IL, a week before his death was not flu-related but rather a drug overdose. Naturally, we're expecting to hear MORE bad news over the next several days as details of Prince's final days come to light. With the death of Prince today, I'm afraid the loss of another musical legend may get overlooked. And tell us which three CD's you'd be most likely to order. This will enter your name in our drawing to win a copy of either "Hard To Find Jukebox Classics, 1960 - 1964" or "Three Decades Of Classic Novelty Hits". And, if you actually PURCHASE three CD's from the website, you'll not only be entered to win a copy of BOTH of these great new CD releases but you'll ALSO get your choice of a free promotional CD right there on the site. I would love to win a copy of Jim's new CD. I have been a fan since the 60's. If only one person could be chosen to represent the rock music of our town, it should be Jim Peterik ... he is simply the best of the best rock music to come out of the city of Chicago. I was surprised that one song that was NOT mentioned in the Sweet 16 and STILL not mentioned as of the Monday comments, as this is a song that has been discussed often over the years on Forgotten Favorites: "Oh where or where can my baby be?? ", officially known as "Last Kiss". I like this subject ... you are spot on that it would be a fun feature for a radio show. Another song that I loved that had a title hidden in the lyrics was, 'Big Yellow Taxi' by Joni Mitchell. Interestingly a lovely song dealing with the very same subject as 'Big Yellow Taxi' was a little gem called 'Tar and Cement' by Verdelle Smith a few years before Joni. Prescient songs dealing with how 'progress' destroyed much of the natural beauty of our youth. 'The Song of the Old Mill', a curious little tune that conveys images far beyond its lyrics and exposes the darker side of our imaginations was a tough find. It was written by David Mamet and is played during the closing credits of the comedy "State and Main" sung by Patti LuPone a longtime Broadway Actress / Singer, and friend of Mamet's. There is a cover available on iTunes but the original can only be gotten by buying the Movie. and there are probably a whole bunch of movie themes so I'll give a quick sample with a couple of biggies and one older than the oldies. You and the folks could possibly name more, but I think those are the least interesting. Playing games with music is fun. Thanks. You should qualify that comment by specifying that "Don't Speak" was #1 on the Billboard Airplay chart, not the Hot 100. Simon was apparently angered by Garfunkel's insulting comments to a London paper last May. Simon and Garfunkel aren't talking these days. In an interview with Rolling Stone that focuses on his upcoming album and 2016 tour plans, Paul Simon was asked about playing Forest Hills Tennis Stadium -- which is in the neighborhood where he and Art Garfunkel grew up, and where they played several times. But pressed on whether he'd want to reunite with Garfunkel there -- or anywhere -- Simon bluntly said, "No, out of the question ... We don't even talk." The last straw apparently was Garfunkel's May, 2015 interview with London's Telegraph, where he seemed to beg Simon for one final reunion. The plea was laced with venom. "How can you walk away from this lucky place on top of the world, Paul? What’s going on with you, you idiot? How could you let that go, jerk?" As if making that kind of verbal mess weren't bad enough, Art agreed with the reporter that Simon might have a "Napolean complex." He recalled that in their days as high school classmates, he felt sorry for Paul because of his height, and he offered love and friendship as a compensation. "And that compensation gesture has created a monster. End of interview." When we talked to Art last September, it was clear there was a disconnect, though his comments were more nuanced. We wondered if there might be some kind of event to mark this year's 50th anniversary of "The Sound of Silence" going number-one and turning the guys into stars. I can hear Art Garfunkel saying those words in my head and I take it as more of an "egg him on" humor that both of these guys have always displayed whenever talk of them getting back together comes up ... not the "venom" this reporter refers to. But perhaps Paul took it a bit more seriously this time. Wow! Check out this Frank Sinatra Collection that Eagle Rock Entertainment is putting together! New York, NY (April 19, 2016) — Continuing the worldwide centennial celebration for legendary entertainer Frank Sinatra, on May 27, 2016, Eagle Rock Entertainment will release a suite of four titles in ‘The Frank Sinatra Collection’. On license from Frank Sinatra Enterprises (FSE), the definitive collection pulls together some of the finest performances on television and in concert from the greatest entertainer of the 20th century. First in the series is ‘A Man And His Music’ / ‘A Man And His Music Part II’ [$9.98 MSRP] which combines his first two hour-long television specials from the mid-sixties. Sinatra's first television special, A Man And His Music, broadcast in 1965 on NBC to commemorate Sinatra's 50th birthday. The spectacular performances include favorites "I've Got You Under My Skin," "I Get A Kick Out Of You," "Come Fly With Me" and "The Lady Is A Tramp." A Man And His Music Part II, with special guest Nancy Sinatra (1966, CBS), thrills from start to finish, with unforgettable performances of signature songs such as "Luck Be A Lady" and "That's Life." Sinatra opens the show with his celebrated Quincy Jones arrangement of "Fly Me To The Moon." Nancy Sinatra, clad from head to toe in pink fringe (and signature boots), sings "Bang, Bang (My Baby Shot Me Down)" and "On Broadway," followed by a series of duets with her father that includes "Downtown," and "These Boots Are Made For Walking." Second in the series comes ‘A Man And His Music + Ella + Jobim’ / ‘Francis Albert Sinatra Does His Thing’ / ‘Sinatra’ [MSRP $9.98] which presents three TV specials from the sixties. On the truly memorable A Man And His Music + Ella + Jobim (1967, NBC), the dazzling Ella Fitzgerald performs two equally impressive solo numbers: the haunting "Body And Soul" and the swinging "It's All Right With Me." Fitzgerald is then joined by Sinatra in a historic pairing of the two preeminent vocal talents of the era. The following sequence, particularly treasured by music lovers, is Sinatra's only filmed meeting with Brazilian composer, guitarist, singer Antonio Carlos Jobim, who joins Sinatra for a stunningly intimate medley of the Brazilian composer's classics, including "Change Partners," "I Concentrate On You" and "The Girl From Ipanema." Francis Albert Sinatra Does His Thing (1968, CBS) was a memorable night of television on many levels. Having established himself in American households with his previous A Man And His Music specials, Sinatra made a bold move in 1968, in the middle of the civil rights era, with a special celebration of black music and its impact on American popular culture. Highlights include a medley of spirituals sung with Diahann Carroll and a swingin' pop interlude with chart-toppers The 5th Dimension. In Sinatra (1969, CBS), the final installment in what had become an annual tradition of televised specials, Sinatra casts a backward glance at some of the highlights of a storied career. He also provides a glimpse into his musical future with an early rendition of "My Way," soon to become his personal anthem. This collection gathers many classic Sinatra performances including: “Ol’ Man River,” “The Lady Is A Tramp,” “Pennies From Heaven,” “Something,” “I Get A Kick Out Of You,” “Theme From New York, New York,” and many more. The third release, ‘Sinatra And Friends’ / ‘The Man And His Music’ features TV specials from the seventies and eighties and offers the likes of “For Once In My Life,” ”My Way,” “Fly Me To The Moon,” “Hello Young Lovers,” “I’ve Got You Under My Skin,” “Night And Day,” “Put Your Dreams Away,” and many more [MSRP $9.98]. Spanning multiple genres and featuring some of the leading names in pop and country, the rarely seen special Sinatra And Friends (1977, ABC) offers wall-to-wall performances. Guests include Dean Martin, Tony Bennett, Natalie Cole, Loretta Lynn and John Denver, all of whom return one-by-one for a final embrace with Sinatra as he sings the Paul Anka-penned "Everybody Ought To Be In Love." Sinatra: The Man And His Music (1981, NBC), is the final installment of the series, occurring 16 years after the first A Man And His Music special, and a few weeks before his 66th birthday. Working with three different ensembles, including the accompaniment of the legendary Count Basie and his orchestra, performances include George Harrison's "Something," and his climactic "Theme From New York, New York", "Pennies From Heaven," and "The Best Is Yet To Come." Concert For The Americas (1982, Showtime) was recorded at the Altos de Chavón Amphitheater, a 5000-seat open-air Greek-style amphitheater in the Dominican Republic. This 90-minute epic performance features the legendary Buddy Rich on drums and a special guest appearance by guitarist Tony Mottola on a memorable rendition of "Send In The Clowns." This is the first-ever U.S. DVD release of this spectacular concert. Packed with his incredible renditions of the songs that he made famous, ‘The Frank Sinatra Collection’ is a must for any Sinatra fan. Throughout his nine-decade career, Frank Sinatra performed on more than 1,400 recordings and was awarded 31 gold, nine platinum, three double platinum and one triple platinum album by the Recording Industry Associated of America. He extends his record to 57 for the most top 40 albums on the Billboard 200 with this year’s new Ultimate Sinatra release. Sinatra has had Top 40 hits on the charts for eight decades, which is as long as the Billboard charts have existed. He received nine GRAMMY Awards over the course of his career, including three for the prestigious Album of the Year, and an Oscar. Sinatra demonstrated a remarkable ability to appeal to every generation and continues to do so; his artistry still influences many of today’s music superstars. He also appeared in more than 60 films and produced eight motion pictures. Let me tell you ... IF YOU EVER GET THE CHANCE TO SEE A PRESENTATION (not strictly a concert) BY PETER ASHER, CHAD AND JEREMY ... RUN, DO NOT WALK TO GET TICKETS! The Animals should be on Eric Records. Do you think Eric Burdon will sing "Spill The Wine" at The City Winery?